If there is one word I can use to describe 2013, it would be “blessed.” I am so incredibly happy with how this year has turned out. 2013 has definitely brought a major upswing in our lives, and I cannot wait for what 2014 has in store. A look back at our goals and how we crossed off the most important ones. With a $12,000+ debt payment in May, I have only $648 left on a 0% interest student loan. While my student loans decreased, Eric’s loans shot up from $2500 to $8250 this year as he continued to pursue his bachelor’s degree. His loans are 0% interest while he’s in school so we’ve just been keeping the money in our bank for now. My first 9 months of graduate school have been paid for without a hitch. Let’s hope the trend continues in 2014. I made $20,000+ this year in extra income. Ah-freakin-mazing. I still don’t believe it. We were able to go to New York in the spring and then San Francisco a month later. I’m really happy that we’ve been able to travel more! I still can’t believe it finally happened! We’re still on Cloud 9. Not only did we rebuild our emergency fund, we actually connected it to our daily banking account, so we have quick access to the funds in case of, well, an emergency. Before, we had to wait for two or three days for the funds to transfer from our online savings account. It is much better this way! Nope. But I have lost interest in this as well. Nope. But I will say that I weigh five pounds less today than I did at this point last year. SO it’s a minor win! Having a Christmas fund was the best thing EVER! However, it still wasn’t enough! We tend to overspend around the holidays, not just on gifts, but on spoiling ourselves as well. In 2014, I’m upping it to $1000. I did it during the summer, but it’s just too darn cold in the winter months. We have more than double this amount in our savings right now, but we’re earmarking it to pay off the rest of our debt. Eric and I made a really good effort to go out on dates more often this year. I hope to continue the tradition in 2014! HAd the same problem with the stock market thing, great accomplishments this year though! Good job! Congratulations! What a great year! One of my goals in 2014 is to pay off all my credit/store card debt. I’m inspired by you! Way to go! I’m impressed with how many of your goals you not just met but exceeded! Well done! 2014 here we come! I just posted that I made 10k this year and look at you! You killed it and the rest of your goals. Great job Erika! These are amazing goals that you reached my friend! you killed it this year across SO MANY of these!! and losing 5 lbs vs. 15? still a huge win, not minor at all! congrats friend! 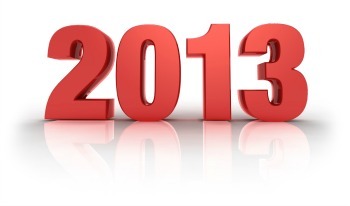 Congratulations on your many accomplishments in 2013. I hope you have many successes in 2014 as well! You did wonderfully with your goals this year! I love that you had both financial AND personal (relationship) goals. Congrats on achieving both kinds, and hope your 2014 is just as good as this year was for you! Hey, you did great! Many congrats! I’ll try to do my roundabout next week after the test, which is one of the goal items! 2013 was definitely a good year for you guys – here’s to a wonderful 2014 as well! Sounds like a great year for you. There were only a few things you didn’t check of your list. Hope 2014 is even better.